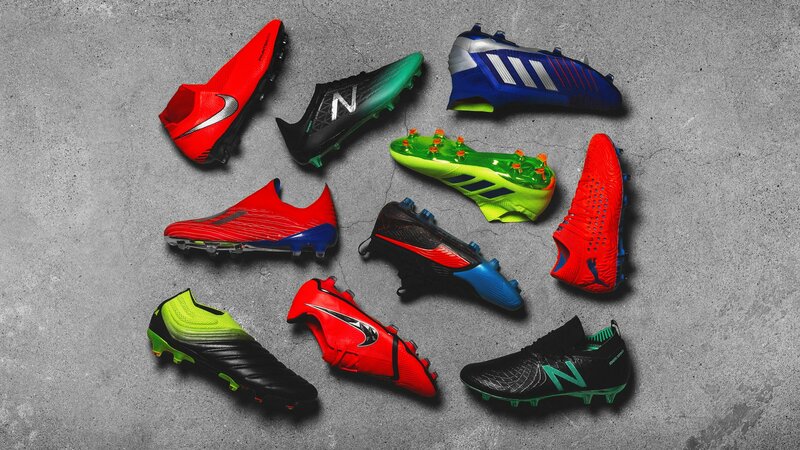 The last couple of weeks have been packed with new boots, innovation and technologies. But are you a bit lost in the jungle of launches? Read along to get guided through the launches. 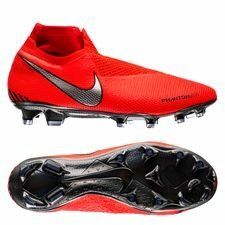 Nike has had some start to the year with their launch of the new Nike Phantom Venom, which was packed with the latest innovation for the players who wants precision in their game. The Phantom Venom is going to take over the Hypervenom spot in the Nike silos, while also be a part of the Phantom Series, as Nike changes their focus having: Phantom and Mercurial Series for the future. The Phantom Venom and Vision was the 2 main Nike football boots that took the focus during the last 2 couple of years, and that’s a no brainer, when looking on the colours that they are made in. 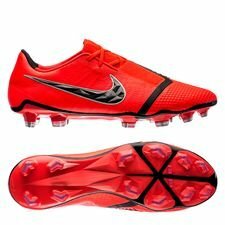 The Phantom Series will feature a striking red colourway with black details, which will make Harry Kane and Alex Morgan stand out in the Venom, while Coutinho and Fran Kirby are going to dominate the game with their deadly Vision. The Nike Phantom Venom introduces innovative technologies such as the Strike Zone, which are inspired by golf clubs, making you able to get a great shot. So, if you strike the ball wrong, then the blades on the side will keep the ball down as much as possible. Nike also added a Honeycomb micro texture on the toe box for an advanced ball control, while TPU islands are placed on the Hyperreactive soleplate, that adds more stability on the midfoot and more flexibility in the toe area. The Phantom Venom also included a full Flyknit upper and integrated Flywire cables for a great fit and stability. The Game Over Pack isn't complete without including the Mercurial Series and Tiempo Legend, which both have gotten a dark grey colourway with yellow details. This combo might be one of the best which Nike has put out for a while, for their Mercurial Series and Tiempo, and they'll for sure make people stare at your feet while you blaze past your opponents with explosive speed or control the game with a premium touch and comfort. adidas were also ready with their latest Exhibit Pack, which suited the adidas football boots in some eye-catching colourways. The creators of the game: Salah, Bale, Messi, Dybala, Pogba and the rest of the adidas team, will surely get noticed, when they make their exhibits for all to see on the biggest arenas in the world. 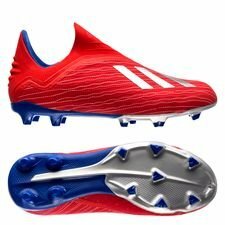 The X 18+ comes with an awesome red and blue colourway, while the Skeletalweave comes with awesome siliverish colours, just like the shiny soleplate. The Predator 19+ comes with a classical Royal blue and silver colourway, while red details are visible on updated prime knit upper and Sockfit construction. 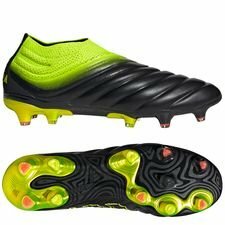 Moving on to the Nemeziz 18+, which comes with a Volt colourway, and might be the best boots from the Exhibit Pack, together with the X. 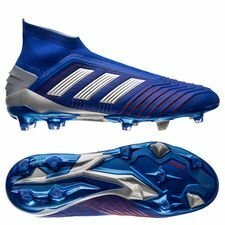 It features blue details on the 3 Stripes while the shiny soleplate takes the boots to new heights. 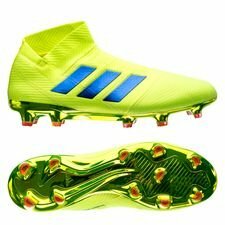 Remember that you can get the Predator 19+ and Nemeziz 18+ with better and favorable prizes, which gives them a new price of 280 EUR! Just like Nike, PUMA wasn’t only ready with a new colourway, but also a completely new boot, the Future 19.1, while the ONE got a update. 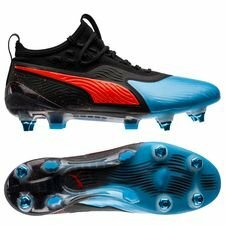 It’s all about New Levels when it comes to PUMA football boots as they launched their latest Future 19.1. Some of the deadliest players in the world: Griezmann, Suárez and Reus, are going to rock an innovative football boot, as the Future 19.1 is made with a refined system. It combines the popular NETFIT and a 3D Havoc Frame in one layer. All of this was made possible by combining the elements into the knitted evoKNIT Pro upper, giving you overall better fit, ball reception, touch and stability, while you can customise the lacing after your needs. The PUMA ONE 19.1 is only slightly updated as it got a new look and name. 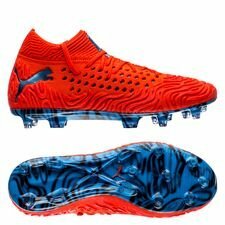 The PUMA ONE will now be called 19.1, just like the Future 19.1, while it stills focusses on the FIT, FAST and FEEL, so every aspect of a player’s game is perfected. The FUSEFIT technology and evoKNIT sock offers you even more lacing options, which increases the overall comfort, lockdown and agility. The RAPIDSPRINT outsole secures a lightweight experience, as it reduces the overall weight of the boot, making it easier for you to reach your top speed. 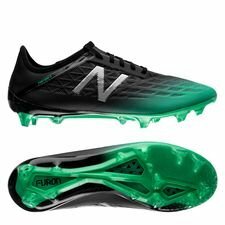 New Balance also wanted to join the launch race, as they gave their latest New Balance football boots a new colourway, while also introducing the new Furon 5. The New Balance Furon is all about the unstoppable player, and the technologies on the New Balance Furon 5 will give you the edge on achieving your top speed in no time. Furon 5 comes with a high traction toe off area and multi-zonal soleplate that helps you accelerate faster and a better grip in the surface. Furthermore, you also the zonal support Fantomfit and Hydraskin touch membrane for an incredible lockdown, while the cleanlace contact zone for a clean and deadly strike. 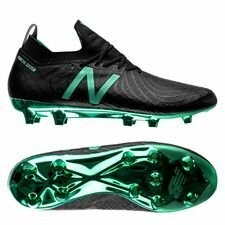 Furthermore, New Balance introduced the Furon 5 in a new colourway, that also suited the Tekela 1.0 in a black and green colour, with a super shiny and awesome soleplate. Hopefully this will help you through the many launches that the brands launched through the last couple of weeks. Are you interested in learning more about them, then check them out by following the link below.